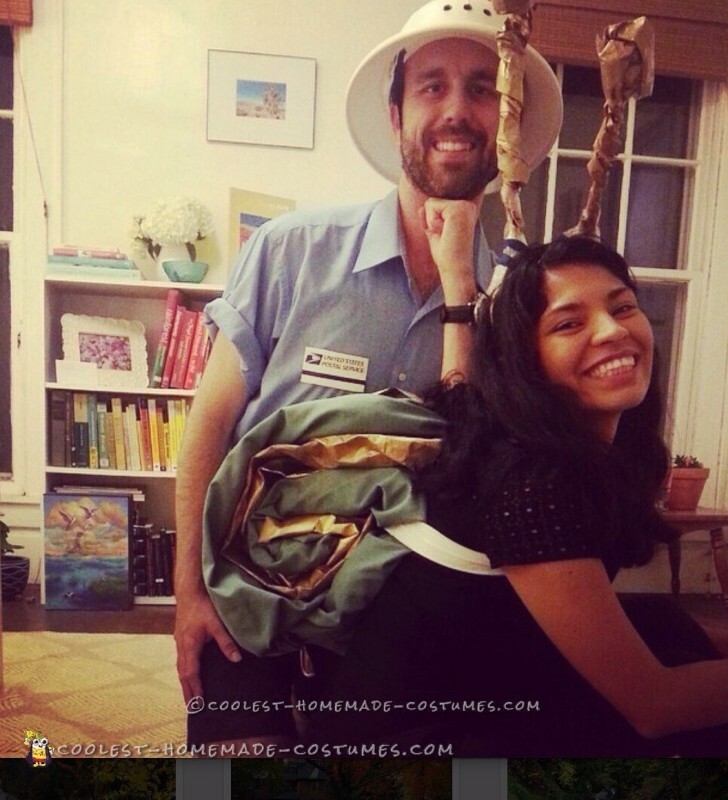 This is a great costume for couples or pals who want to take a break from the growing presence of technology based communications and wind back to a simpler time. This is also great for people who pun a lot. Because, why not? We used an old pair of pants in a pretty sage color (though you can get creative and find a cooler color, like yellow, or slime green) to make the snail shell. We cut it in half, length-wise, filled each leg with crumpled newspaper and rolled it up with a gold painted piece of brown paper (thanks Trader Joe’s!). Place clear tape where necessary. We wrapped a fabric belt through the “shell” and voila! I also made a headband with antennas. 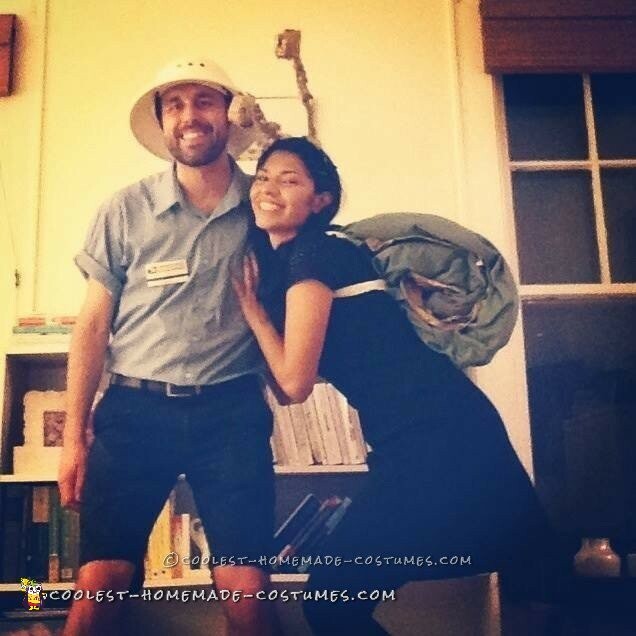 The mailman used a white pith helmet and a USPS logo from a flat rate box glued onto a blue button down. Pretty straightforward.